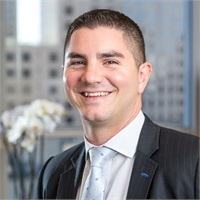 Michael Gregg, CFP® has provided client-centered financial planning and wealth transfer strategies to individuals, families and small business owners in the Bay Area since 2005. He prides himself on being held to a fiduciary standard by having taken a legal oath in putting his clients’ interests first. Michael was raised in the Midwest and at an early age had an affinity for the impact that money matters had on families. He hired his first stock broker at the age of 12, a gentleman fifty years his senior. Embarking on a career in the personal financial planning profession was, quite simply, a natural fit. At Indiana University, his undergraduate alma mater, Michael was an active member of the IUSA Funding Board, providing support to student groups by helping them obtain funding in order to enhance their organizations. After moving to San Francisco, a city he loves, he enrolled in San Francisco State University’s Executive Certificate in Financial Planning curriculum, ultimately securing his CFP professional designation. Michael’s approach with clients is to learn as much as he can about them before recommending any solution. By asking pertinent questions and intently listening to what they are trying to achieve, Michael is then able to craft a financial roadmap that aims to get his clients where they want to be. Integrating the industry’s most robust interactive financial planning software into his practice, he and his clients have the ability to view their progress on a daily basis. This type of financial planning is truly cutting-edge and a vast improvement over the static planning most advisors have been practicing for years. He has a deep knowledge of risk management techniques and tax-efficient investment-related strategies . Michael focuses on having more of his clients' money working for them in the long run. Michael holds his Series 6, 63, 65 and 7 Securities registrations with LPL Financial, and is registered in five states to conduct securities-related business. In 2015, Michael was invited to join The Million Dollar Round Table, an industry group dedicated to enhancing how financial professionals may enhance their clients’ lives. Currently, Mike is in the final stages of securing his second professional designation, the Chartered Financial Consultant (ChFC®) designation. Outside of the office, Michael loves international and domestic travel, enjoys all the amazing restaurants the city has to offer as well as wine country in the acclaimed Sonoma and Napa Valleys, and supports various philanthropic causes in the Bay Area.